Online conversation is reality, representing the real-life experiences of people all over the world. But do you know what the reality looks like for your institution? Understanding your reality is key to developing strategies that resonate with your audience. 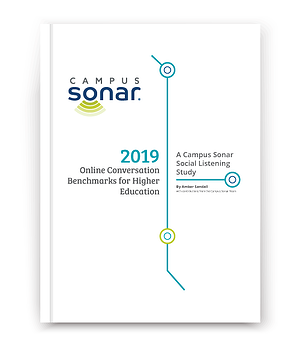 2019 Online Conversation Benchmarks for Higher Education: A Campus Sonar Social Listening Study is our newest research—designed to provide you with data to define your online conversation, conversation volume, and branded content based on comparable institutions. As a higher education professional, you can use the data in this report to analyze your online conversation behavior and create actionable outcomes that directly relate to your institution's goals. Campus Sonar Social Media Data Analysts assessed 52 metrics—including the amount of conversation; whether it was positive, negative, or neutral; or whether it focused on athletics, prospective students, or alumni—across a sample of 65 representative schools throughout the U.S. The most impactful strategic insights we identified from our analysis tell us a few things about the behavior of higher education’s online conversation. Quality, engaging content influences how your audience talks about you online. You can shape your online presence so it’s representative of your institution. This is especially important given the 90-9-1 rule—90 percent of the population observes the conversation, while only one percent creates the conversation. 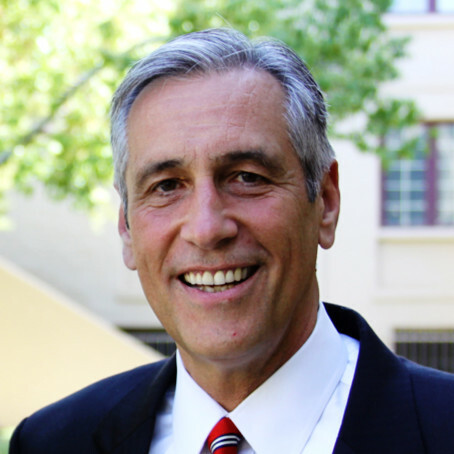 Every conversation that you find about your institution is an opportunity to learn from or engage with your audience and increase your ROI in the form of tuition revenue or fundraising. Athletics conversation is increasingly impactful—whether to complement your general conversation about your brand, gain positive sentiment, or create brand alignment—it levels the playing field for online conversation and supports your institutional brand. Campus Sonar’s recent social listening study stresses the need for colleges and universities to not only be engaged in social listening, but to also be active participants in online conversations. As Campus Sonar noted in its research findings, “alignment of owned and earned conversation themes is a measure of institutional influence.” This reinforces the importance of not only listening, but doing. And if you do, others with the same passion for shared-affinity areas like athletics, performing arts, specific academic majors, study abroad, and location, will repeat and reinforce the content shared—and help increase your institutional visibility.